I mentioned that my sabbatical is coming to an end in a couple of weeks, which is somewhat sad, given that there are many things I would still like to try. But let’s be honest: things are better left to our graduate students, who will carry the torch forward. As a matter of fact, this was one of my stated goals before I started my protein work at SGC – to try things out, but eventually put it into the right hands. In this regard, it was strategic on my part to stay in Toronto for my sabbatical. I am really happy to see that my student Victoria (shown below) has gained some valuable experience under Elena’s supervision. 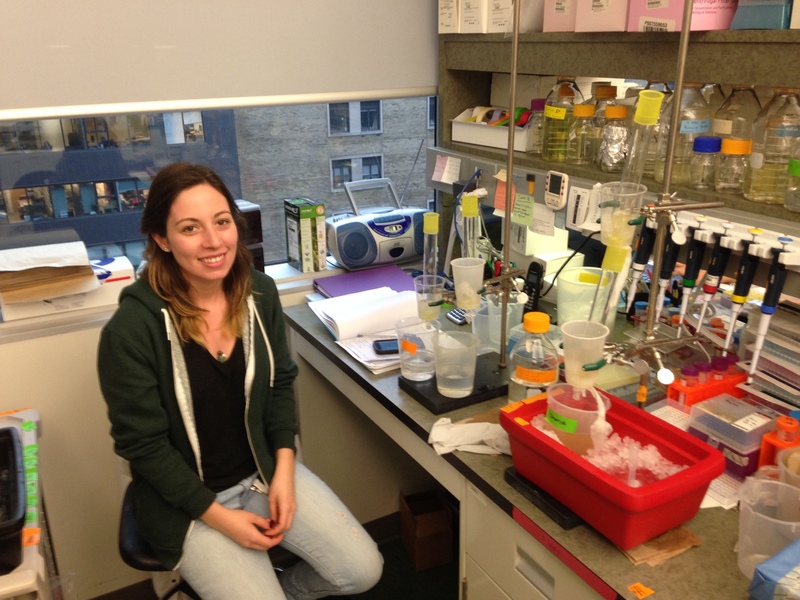 Victoria now knows the whole process – from cloning to protein production, purification, and crystallization. In addition, Victoria is busy with her synthesis projects. I tip my hat off to her tenacity and ability to pick up new experimental tricks. This is what it’s all about! As for me – it is time to leave protein projects in the hands of experts and not some fluffy amateurs such as myself. I know I will miss my first hand experience, but I will soon need to put back my grant writing/teaching/research advisor hat on.